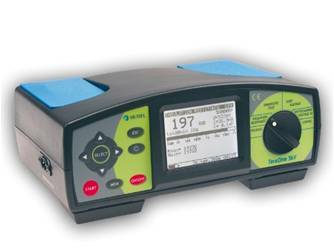 MetrelHV insulation testers are portable instruments intended to measure the insulation resistance by using high DC test voltages up to 10kV. Insulation resistance and other insulation parameters are tested with various methods in the range up to 10TΩ. MI 3210 Tera Ohm XA 10kV is a portable, battery or mains powered test instrument with excellent IP protection (IP65), intended for diagnosing of Insulation Resistance by using high DC test voltages of up to 10 kV. Because of its robustness (CAT IV protection) and high immunity to radiated RF fields it is best suited for industrial environment. Tera Ohm 10 kV is professional insulation tester, which allows measuring and testing high voltage equipment. MI 3201 Tera Ohm 5 kV insulation tester is a portable instrument intended to measure insulation resistance through the use of high voltage DC test voltages up to 5 kV. The large LCD screen allows real-time R(t) graphs to be displayed. MI 3202 GigaOhm 5 kV provides a quick and accurate reading of insulation resistance. 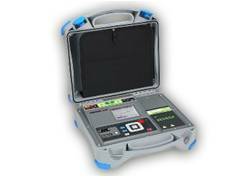 The large segment LCD screen with backlight offers easy reading of results. The analogue/digital display with analogue graph has a range of up to 1 TΩ for insulation resistance and 600 V for voltage measurements. Advanced, digital HV measuring instrument with maximum test voltage up to 5000 V DC and resistance measuring range up to 5 TΩ. 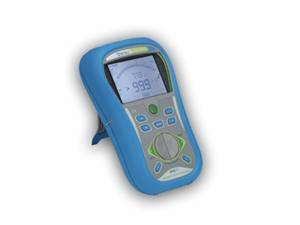 The MI 3121H Smartec 2.5 kV Insulation / Continuity is the portable measuring instrument for complete diagnostic testing of insulation and continuity measurements. 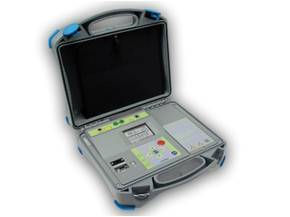 The GigaOhm 1 kV is a portable hand-held battery powered test instrument intended for testing of safety measures on mains installations. 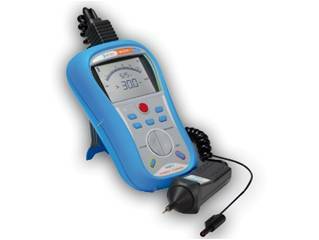 MI 3210 TeraOhm XA 10kV is a portable, battery or mains powered test instrument with excellent IP protection (IP65), intended for diagnosing of Insulation Resistance by using high DC test voltages of up to 10 kV. Because of its robustness (CAT IV protection) and high immunity to radiated RF fields it is best suited for industrial environment. Automated testing – PI, DD, DAR calculations with automated resistance ranging (AR). All data is displayed during one single measurement. Fault finding – Fully programmable step voltage and withstanding voltage test functions to assist in diagnosing faults in insulation. R(t) graph – Real time resistance against time graph plotting facility to graphically illustrate the response of a material to an applied test voltage. Faster testing – High 5 mA charging current quickly charges capacitive loads. 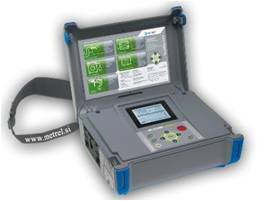 Accurate – Selectable noise rejection filters (up to 5 mA) and shielded cables as standard ensure accurate readings. Automatic PI, DAR and DD index calculation and capacitance measurement up to 50µF. Adjustable test voltage from 250 V to 5000 V in 50 V steps. Resistance measuring range 5 TΩ. 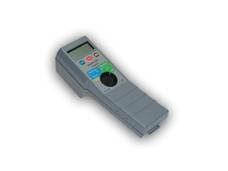 Adjustable measuring time from 1 second to 90 minutes. Automatic load discharge after completed measurement. Guard terminal for elimination of insulation surface currents. AC and DC voltage measurement up to 600 V.
Internal memory module stores up to 1000 measuring results. 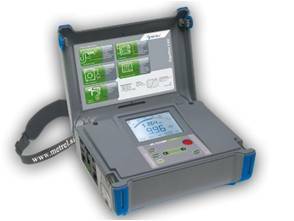 The MI 3121H Smartec 2,5 kV Insulation / Continuity is the portable measuring instrument for complete diagnostic testing of insulation and continuity measurements.